Posted on April 17, 2014 by Becka in How To. If I had to choose one food to eat for the rest of my life, it could very well be cheese. (I’d probably die young from vitamin and mineral deficiency, but my bones and teeth would sure be in good shape.) 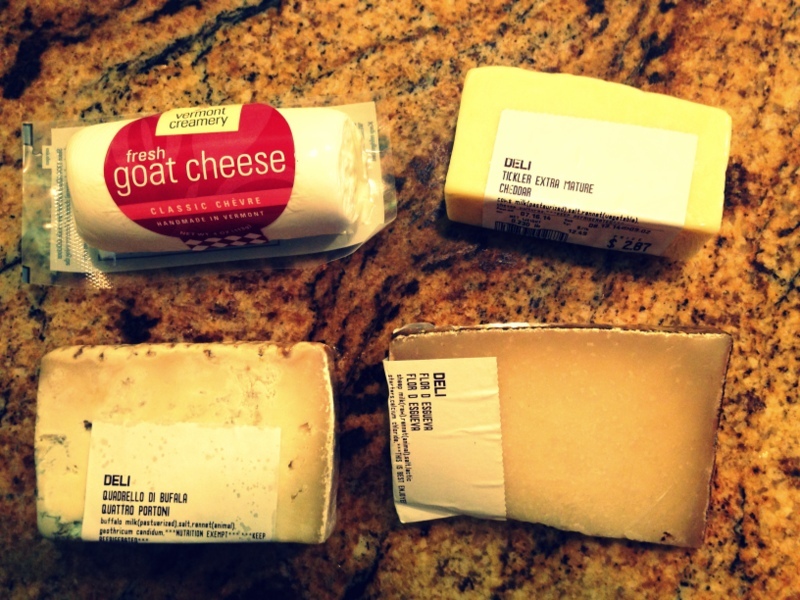 With so many options, it would be hard to tire of cheese: cow, sheep, goat; fresh, soft, firm. But, with so many options, how do you know which ones to choose? 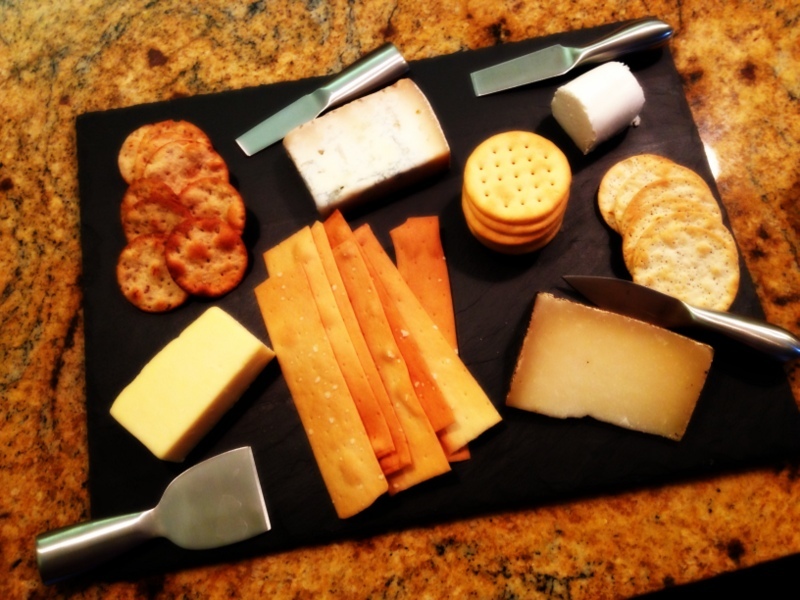 One of my favorite things to do when having company over is to make a cheese board. Sourcing good quality cheese is the key. If you’re lucky enough to have a dedicated cheese shop like Scardello nearby, you can pop in for a visit and sample to your heart’s content. Scardello sources great product from small-batch producers around the country; as with wine, beer and other fine food products, scale is often the enemy of great cheese. If you don’t have a great cheese shop nearby, you can always try your local Whole Foods, Central Market, or specialty grocery store. You’ll probably have to do a little more trial and error, however, as those places typically don’t have as extensive tasting options. But trial and error isn’t that bad – if you love cheese as much as I do, “error” is relative. As a starting point, you want cheeses made from a variety of milks. This will give you a good range of flavors. You also want to look for cheeses with different firmness to offer a variety of textures. For this board I went with Vermont Creamery fresh goat cheese (goat from Vermont), Tickler extra mature cheddar (cow from England), Flor de Esgueva (sheep from Spain), and Quattro Portoni Quadrello di Bufala (water buffalo from Italy). At the bare minimum, arrange your cheeses with some crackers or bread. You can stack, fan, or pile them up, but be sure to offer a few varieties. I like a really crisp crunchy cracker, buttery crackers, and good old fashioned water crackers. A few sharp knives and you’re in business. To really class it up, add bunches of fresh grapes or piles of dried fruit such as apricots or cranberries. You can’t go wrong with fig jam either if you’ve got some lying around. I like to stick with the basics, to really let the cheese shine. Besides, why add fruit to my diet when I’ve got an excuse to eat more carbs? Bring on the crackers.